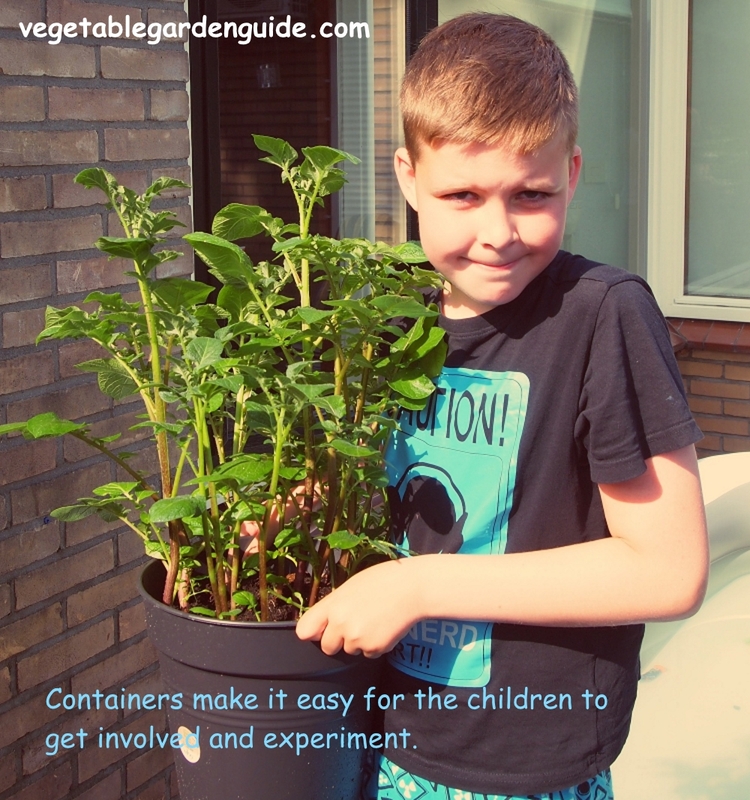 Container vegetable gardening has become a popular choice as our outdoor spaces have become limited. You can make use of whatever amount of space you have. There will be no need to dig or hoe - an added bonus for you folk - you know who you are ;0) - who just have a natural aversion to any form of exercise or, like me, suffer with a painful back or have other disabilities. In fact, growing vegetables in containers is actually easier than trying to maintain a garden. Watering is the only chore you will need to do on a frequent basis. Here are some tips that will help you get started. A satisfactory amount of sun, adequate water, fertiliser and a well drained growing medium will ensure success in your new container garden - oh! and something to plant into it too. Ideally, your plants should get a minimum of 5 hours sun a day and some shade. A full-sun deck will work, but you will need to water on a daily basis. When it is really hot, you might need to water twice a day. If you don't have much sun, your plants will grow towards the light. So, they can still get the amount of sun they need - you will need to turn the pot. Other planning considerations have to do with space, whether or not to use hanging baskets, the need for a rack or table and the location of an outdoor water supply. For small gardens, you can easily use a watering can. If your container vegetable gardening in a larger container garden, it is easier to use a garden hose or sprinkler. With just a few adjustments the choice of vegetable growing containers is endless, all kinds of containers can be used for vegetable container gardening. Clay and ceramic pots with holes drilled in the bottom are the most popular choices, simply because they stay cool in the summertime - but dry out more quickly. Remember though all containers must be able to drain adequately. Most purpose built pots for container gardening have pre formed drainage holes but where they don't you will need to drill 7mm(¼") holes in the base or around the bottom edge. It may be a good idea to increase the draining ability if you feel it's not adequate. Are you the creative/arty type? Well why not see your container vegetable gardening space as an extension of your inside space. Choose pots and containers that make your urban garden colourful and interesting. A container for gardening ideas may be as simple as a plastic pot to an old supermarket basket or ancient chimney pot... possibilities are endless. Dark and metallic containers heat up and can burn the roots of your plants, unless you make some adjustments. A dark container would need to be painted. A metallic container can be lined with bubble wrap to protect the roots. Wicker baskets can be used for vegetable container gardening, but only for a season or two. The natural fibers will eventually become weakened by the moisture. One advantage of wicker is that there is usually no need to add additional drainage holes. Regardless of the type of container, you will want to add a thin layer of gravel or rock to prevent the drainage holes from becoming clogged. The gravel will also help to prevent soil loss. I have used broken pieces of polystyrene packaging or broken pieces of clay pots (much rarer now though) to do the same job. 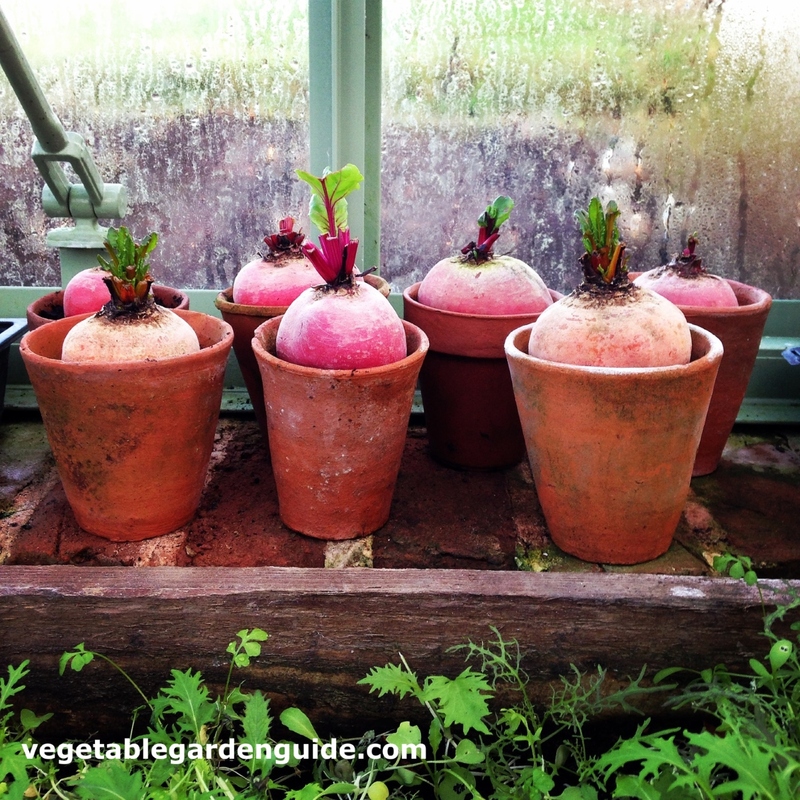 Planning and selecting containers are the first two steps for successful container vegetable gardening - finally you will need to give some thought about drainage. Excess water will drain out of the pots. To prevent messes and conserve water, you might consider a hanging or tiered design that will allow the water from one plant to drain into the soil of another. Whilst this is not essential it does introduce to you the fact that being creative about your container garden means using the space above ground - there's a lot of it. 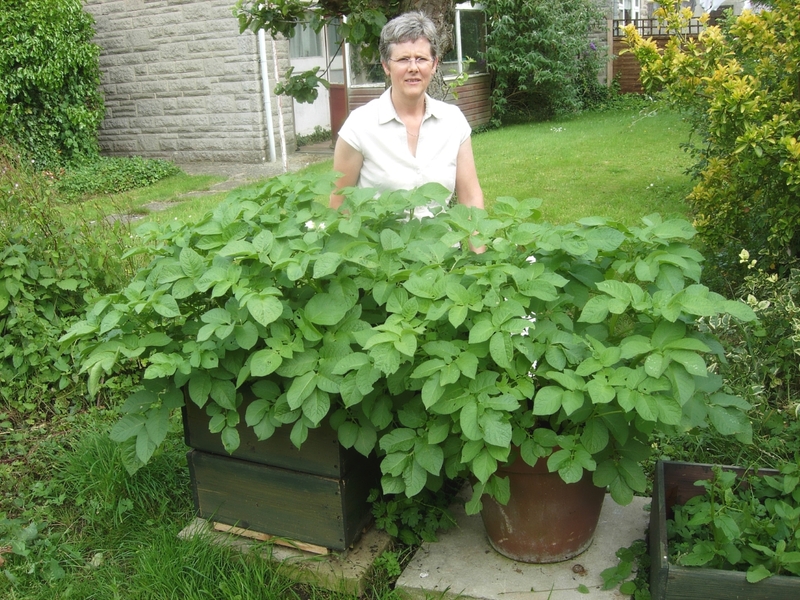 The size of pots used for your container vegetable gardening will be determined by one thing - the plant you grow in it. So if you only have a very small space for your garden containers you will probably not want to grow large plants that you may only get one or two in that space, but grow smaller ones like lettuce, carrots and beetroot etc which would produce more for your available space. Your choice of which vegetable to plant takes into consideration the room available for its roots to develop adequately. So shallow rooted vegetable plants like lettuce, radish and herb need pots minimum 15mm(6") diameter and a growing medium depth of approx 20mm(8"). For growing vegetables like cabbage, cucumber or cherry tomatoes a container that would take 5 litres of growing medium would be required.